There is some concern that the hostility between India and Pakistan might affect the organization's unity. However, the SCO will also become an ideal platform for members with disputes to solve their problems bilaterally based on the "Shanghai Spirit," Li Wei, an anti-terror expert at the China Institute of Contemporary International Relations, told the Global Times on Tuesday. "India and Pakistan are accusing each other of 'supporting terrorism,' and this is generally based on their domestic political agenda and dispute. 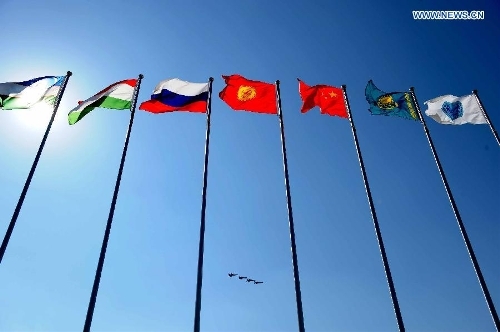 SCO members will support them and offer help if the two countries need it, rather than internationalize their dispute within the organization," Li Wei said. "All SCO members are participating in the Belt and Road initiative, and this organization is the initiative's security guarantee," Wang Yiwei, senior research fellow at the Chongyang Institute for Financial Studies of the Renmin University of China, said. SCO membership and the B&R initiative help Pakistan's economic development and security, and if Pakistan becomes a wealthy and prosperous country, it would be difficult for extremism and terrorism to grow, and that would, in turn, improve conditions along the India-Pakistan border, Li Wei said. "So I don't think India and Pakistan should quarrel within the SCO, because they will find more reasons to cooperate." "The membership of India and Pakistan will add to the SCO's international reputation and allow the bloc to better coordinate the positions of its member states on various issues, so as to enhance their cooperation," Askar Nursha, a researcher at Kazakhstan's Institute of World Economy and Politics, told Xinhua. During the press conference, Li also said China supports membership for Iran, which is currently an observer. Li said Iran has "proactively participated" in its activities and has made positive contributions to the SCO's development, Reuters reported. "China welcomes and supports Iran's wish to become a formal member of the SCO," and "I think that at this meeting all sides will continue to conscientiously study the issue of Iran becoming a member on the basis of the SCO's relevant rules and consensus through consultations," Li Huilai said. "In the next stage, Turkey and Afghanistan might also become members after Iran. The SCO's expansion will definitely bring more diverse voices, and the period of reaching consensus will also be extended. But in the long-run, once the members reach agreement, it will represent the interests of a broad region with great international influence," Lin said.